I love ordering lettuce wraps at Asian restaurants, but I love making them at home even more. Lettuce wraps make for a quick, relatively healthy dinner any night of the week, and any time of year. So when I saw this recipe on A Taste of Home Cooking, it was a no-brainer for me to put them on our menu. 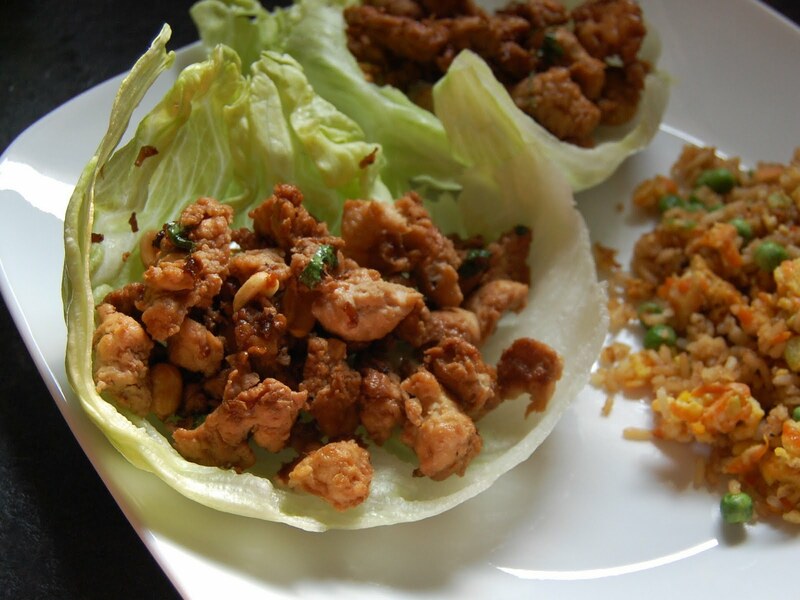 We loved the flavors in these lettuce wraps. They're spicy and bright and nutty and salty and sweet. The peanuts and water chestnuts give the filling a really crunchy texture that pairs perfectly with the lettuce. Although I think these sesame ginger chicken lettuce wraps are still my favorite, I'll definitely be making this version again. I served the lettuce wraps with a side of fried rice for a quick and easy summer meal. I'm glad you remembered the water chestnuts. :) I'll have to check out your favorite lettuce wrap recipe. So much more refreshing then a traditional wrap when it's hot.